Corporate Apartments have a large range of modern apartments in ideal locations, within Melbourne’s CBD and Southbank for your short stay of 60 days plus. Our new or refurbished apartments are well designed and competitively priced. Our apartments are fully self-contained and serviced for maximum comfort. We have a large range of 1, 2 and 3 bedroom apartments, they all have separate bathrooms, spacious living rooms, kitchen/meals areas with floor to ceiling windows allow for lots of natural light. If you are needing something more compact, we also have studio apartments available in Melbourne CBD close to Melbourne Central. We have found that corporate travelers are looking for a more comfortable, spacious and affordable stay than what a hotel can offer. We can offer you short to medium term stays without being locked into long term leases. Should you require large groups/multiple apartments we can arrange this for you. We can make bookings in the same location or possibly even the same building (with ample notice). All our apartments are within close proximity to iconic Melbourne cafes, restaurants, laneways, entertainment venues, theatres and sporting grounds. 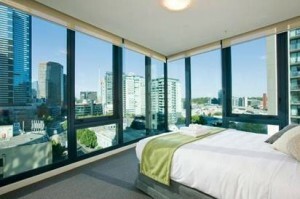 Not to forget that all apartments are easily accessible to freeways, train stations and Melbourne Airport.